Irritable bowel syndrome, or IBS, may not cause any permanent damage to your digestive tract, but it can affect quality of life. Finding foods that help improve bowel movements and reduce your abdominal pain can make a huge difference. Cultured coconut milk is not only a good source of probiotics, but it's also a low-FODMAP food, making it doubly good for your IBS. Consult with your doctor or dietitian to discuss how cultured coconut may fit into your diet plan. According to a 2014 article published in the Journal of Gastroenterology, probiotics are an effective form of treatment for people with IBS. 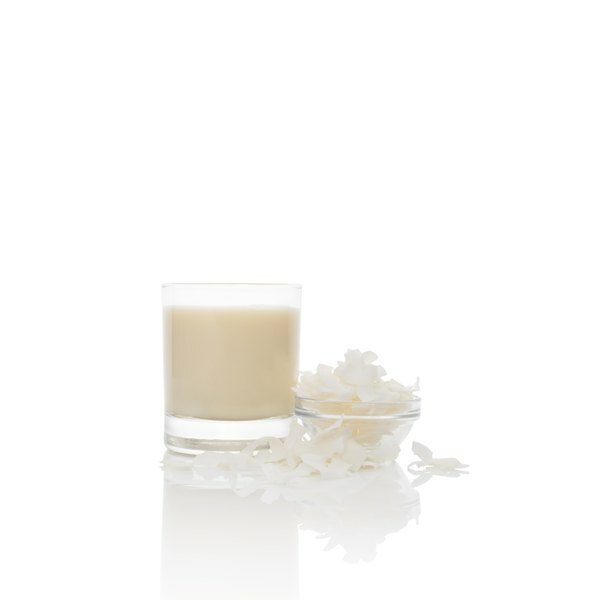 Cultured coconut milk is a fermented food product made by introducing bacteria to the milk. These bacteria are considered friendly and help repopulate the good bacteria found in your gut, which helps keep the bad bacteria at bay. Cultured coconut milk also contains carbohydrates that are easy to digest, and it is low in fermentable oligo-di-monosaccharides and polyols, or FODMAP. People with IBS may have a hard time digesting foods with high amounts of FODMAPs, which may be partly responsible for some of the symptoms including diarrhea, constipation, gas and bloating. The article in the Journal of Gastroenterology also says a low-FODMAP diet is beneficial to people with IBS. As a low-FODMAP food, cultured coconut milk may be enjoyed without discomfort. You can enjoy cultured coconut milk as your dairy alternative at meals or as a snack. Look for unsweetened varieties to limit your intake of added sugar, and use fruit to sweeten it up. Cultured coconut milk also makes a tasty base for a fruit smoothie. The plain unsweetened sour coconut product also makes a healthy veggie dip or a good topper for your baked potato. Cultured coconut milk offers a number of benefits to your diet, but it's high in fat and saturated fat and contains no protein. A 4-ounce serving of unsweetened cultured coconut milk contains 50 calories, 4 grams of fat, 3.5 grams of saturated fat, 6 grams of carbs and 4 grams of fiber. The lack of protein isn't much of a problem, but too much saturated fat may increase your risk of heart disease. The American Heart Association recommends limiting saturated fat intake to less than 6 percent of your total caloric intake.